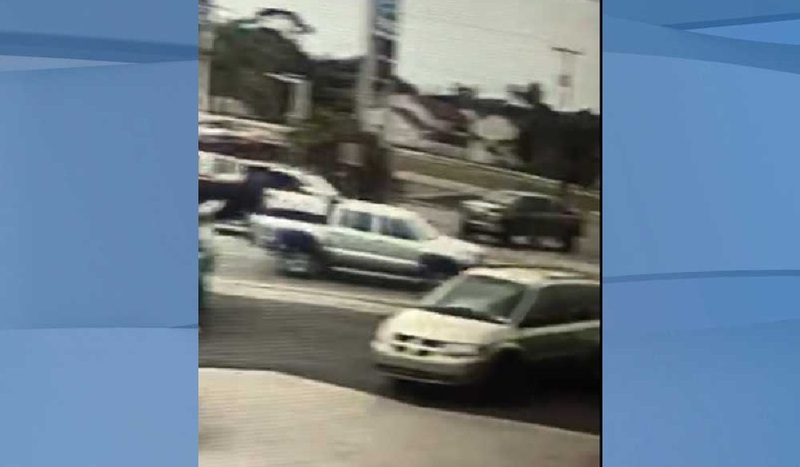 The Fort Myers Police Department is seeking the public’s assistance in identifying the owner of the silver truck in reference to a hit-and-run crash involving a pedestrian Sunday. The photo, taken from video surveillance footage near Palm Beach Blvd. and Marsh Ave., shows what appears to be a silver Toyota Tacoma (2008-2009) that is now missing the passenger side mirror, according to a FMPD press release. The truck also had a green camouflage antenna on it. If you have any information on the identity of the owner or the location of the truck in the photos, contact Fort Myers Police Department Traffic Homicide Investigator Neroni at 239-321-7709 or email [email protected], or you can remain anonymous by calling Southwest Florida Crime Stoppers at 1-800-780-TIPS (8477). Tips may also be made online or by submitting a tip on the P3Tips mobile app.